Holo holo holo! Today we're looking at a holo! 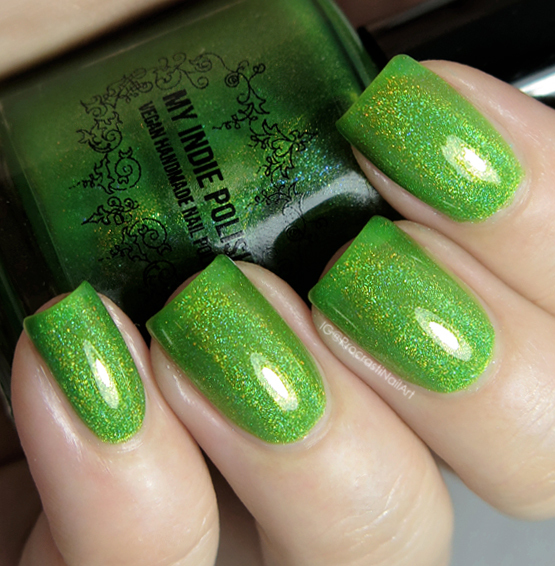 :) This gorgeous piece of green is My Indie Polish Last Summer Picnic and it's also my green swatch for The 30 Days of Colour! 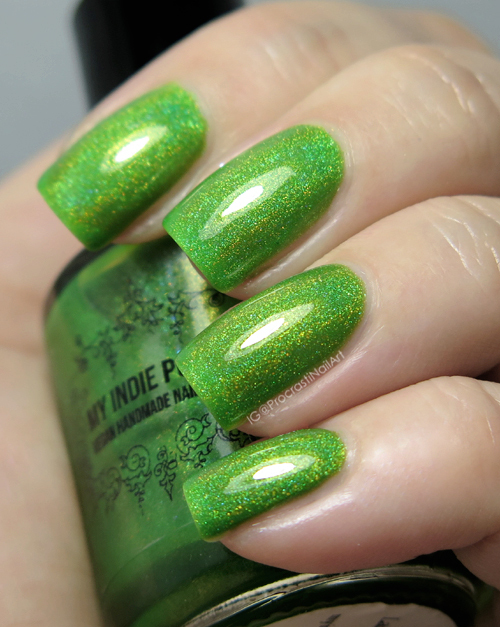 Last Summer Picnic is a gorgeous grassy green linear holo polish that I bought late last year from My Indie Polish. There was a complication in shipping when I made this order, and when she reached out to let me know Tanya asked if there were any other shades I wanted her to include to make up for it (super sweet of her)! I said I would love something that was a favourite of hers and this is one of the polishes she sent. Isn't it AMAZING? I can definitely see why it's a favourite - it's one of mine now, too! 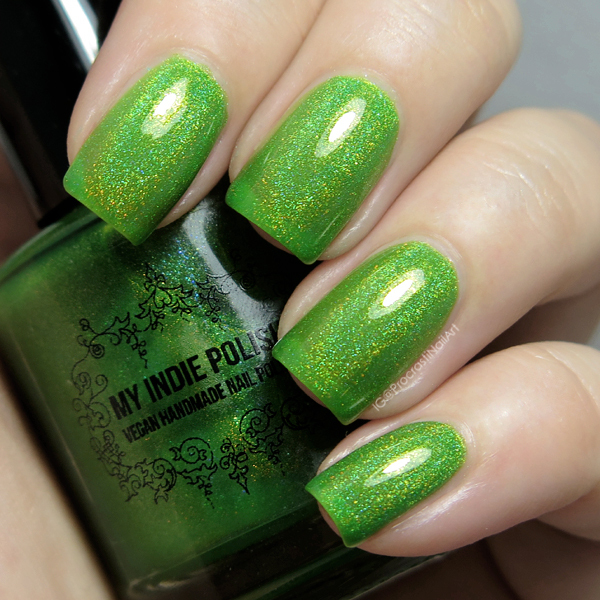 Have you tried any My Indie Polish shades before? Any that you think I should check out? Let me know! This green is so vibrant. I like it a lot. That green is just awesome! Such a beautiful green! Tanya is really nice also. 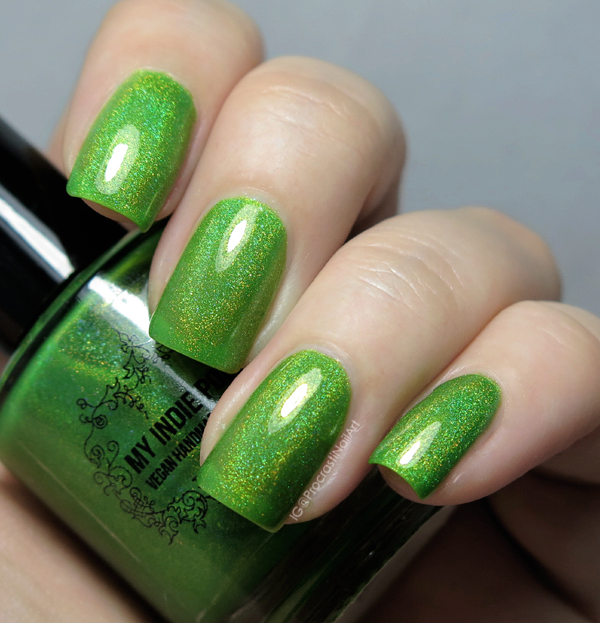 This is simply the best green ever! WOW! That is in your face holo! I'm loooving that shade of green!